Diverticulosis is a common condition of the colon where pouches, called diverticula, are formed along the colon wall due to weaknesses of the muscle layers in the colon wall. These pouches are usually only about 5 to 10 millimeters in diameter but can be larger. Diverticulosis itself does not cause any symptoms, and the only time someone would know they had diverticulosis is if symptoms emerge such as with diverticular bleeding or diverticulitis. Over 80% of patients with diverticulosis never have the condition progress any further or experience symptoms of the diseases mentioned above. Diverticulosis is commonly only found incidentally during a colonoscopy or lower GI x-ray. Physicians believe that these pouches form when higher pressure from inside the colon pushes against weak spots in the colon wall. A normal diet with adequate fiber produces waste that is large and unwieldy, and takes up a decent amount of space in the colon, making it easier to travel through the colon. If there is an inadequate amount of fiber in the diet, the colon has to work harder to push smaller, harder stool through the intestinal tract. This lack of fiber can also increase the amount of time stool remains in the colon, increasing the pressure inside the colon. Most patients don’t experience symptoms. It is possible to have diverticulosis for years before any symptoms occur. Some people do develop an infection in the pouches, which is called diverticulitis, which can be painful, particularly in the lower abdomen and fever may be present. 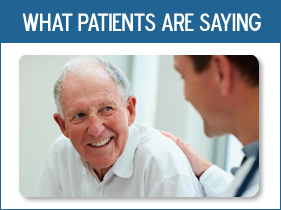 Most patients that experience Diverticulosis are over 40. The most effective way to treat diverticulosis is to avoid constipation completely. Talk to your physician about a diet adequate in fiber, fluids and other necessities. 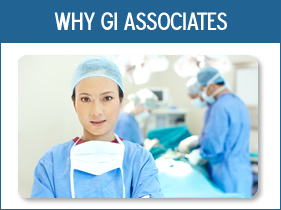 If you have questions, feel free to contact GI Associates about how to take the next step.